"A baby brings a little bit of heaven down to earth"
Can you imagine what three bits of heaven must be like? 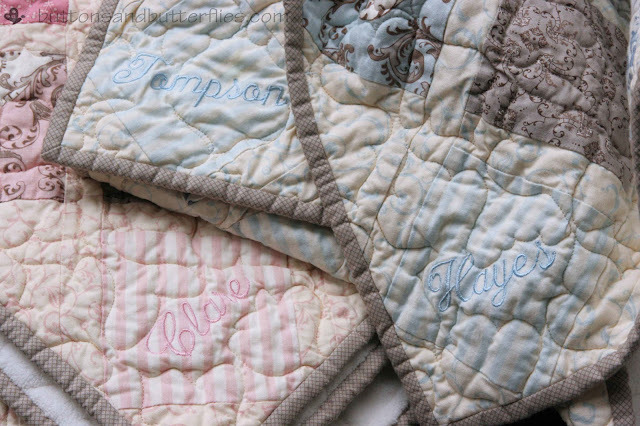 These quilts are for the the sweetest little angels. Their due date was this month, but they arrived early last month, like triplets seem to like to do. The boys came home a few weeks ago from the NICU. 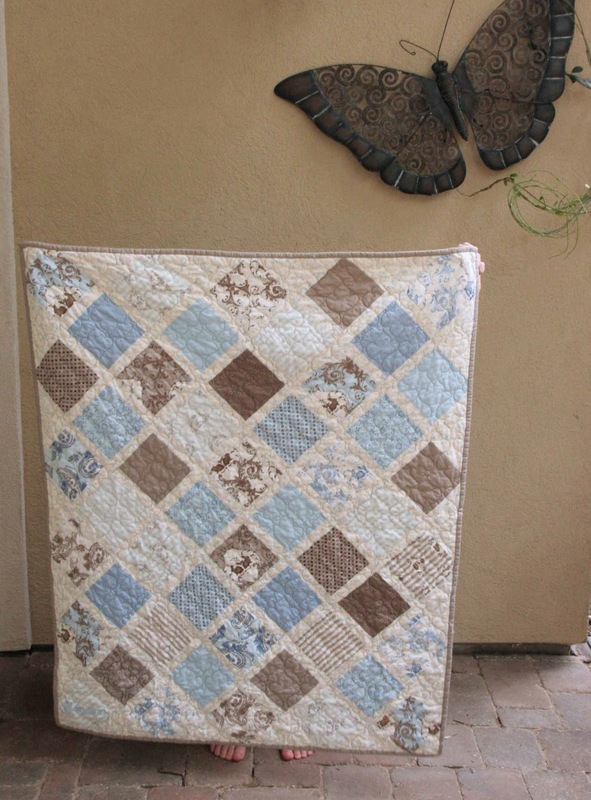 The blue and "gray" fabric make me think how soft and sweet little boys are. 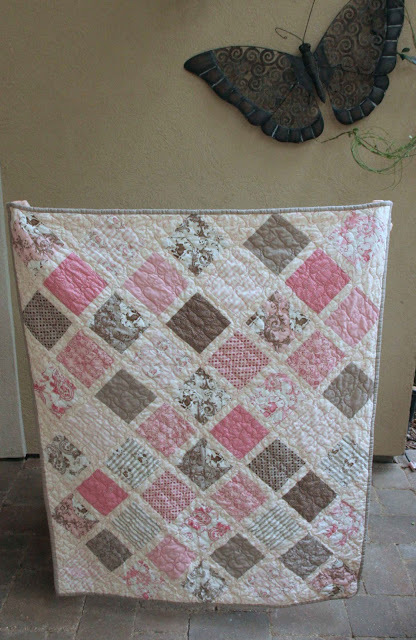 I am so happy with the softness of this quilt! Baby girl came home from the NICU this past weekend! Oh how I wish I had permission to share their photos! My heart melted when I saw them! The pinks from the same line have always seemed bolder than the blues. I imagine she is going to keep her brothers on their toes, don't you? I am really happy that I braved the Arabesque pattern on my longarm machine. It looks soooo scrumptious on the minky back. I decided on an off white backing to mimic the white background of some of the blocks. 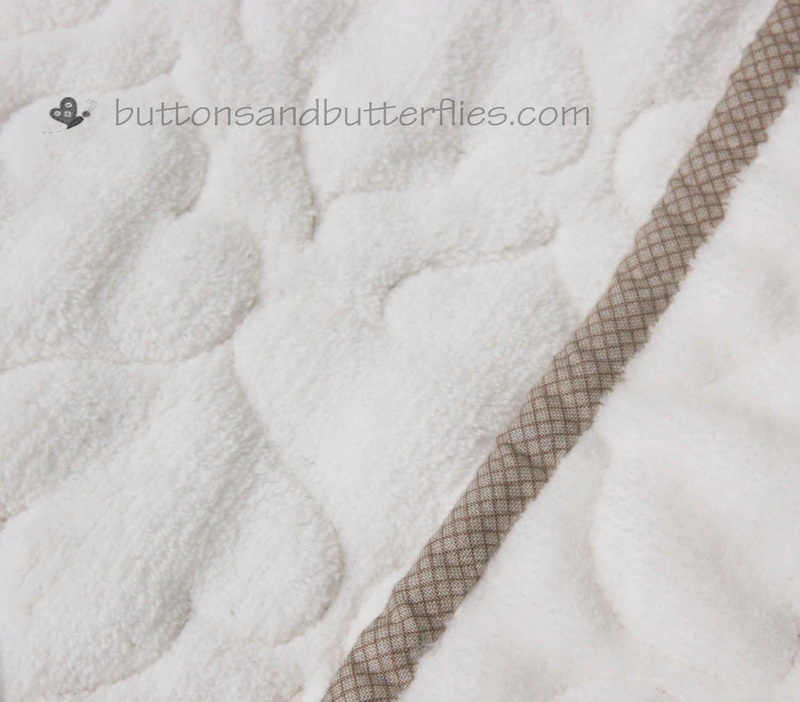 The binding had to be the beige the lattice print. I have to tell you. I finished them and dropped them off yesterday. Unfortunately, it was raining all day, so my photos are definitely not spot on. My camera battery kept dying and I didn't realize the angles of the full on photos were goofy. I ALMOST had a shot of my JJ all crouched down so you couldn't see his head behind there. He a;sp tried to hide his feet. It was quite the comical position. Lucky for him, the battery died before I could catch it! 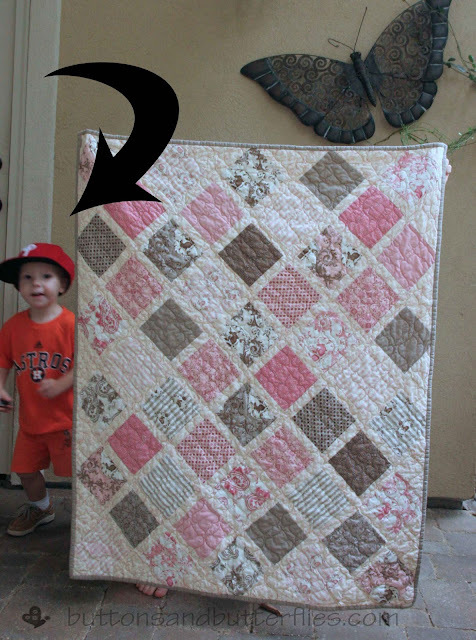 I sure hope the quilts makes their momma happy!!!! Beautiful! Your Arabesque quilting is just perfect. Delightful finishes. Those are beautiful and so happy to hear that they are home creating chaos and disturbing the peace there. 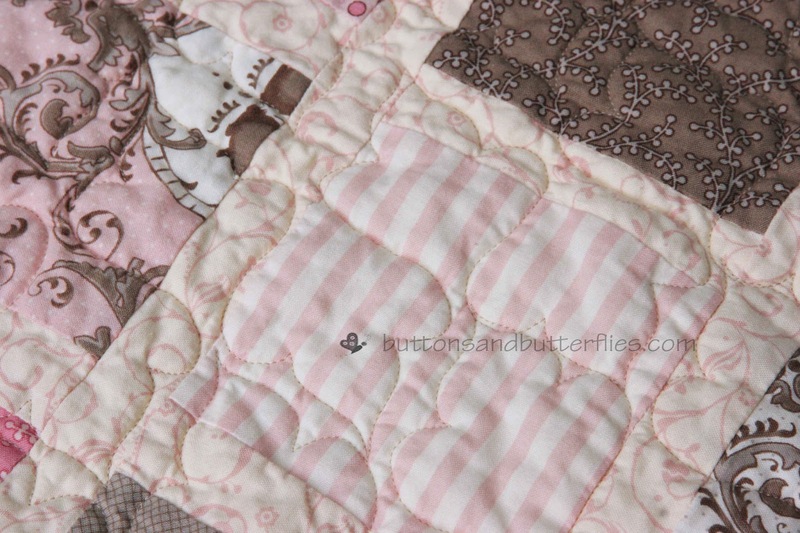 They are darling quilts! Triplets!!! Wow. these are all so beautiful Heidi! 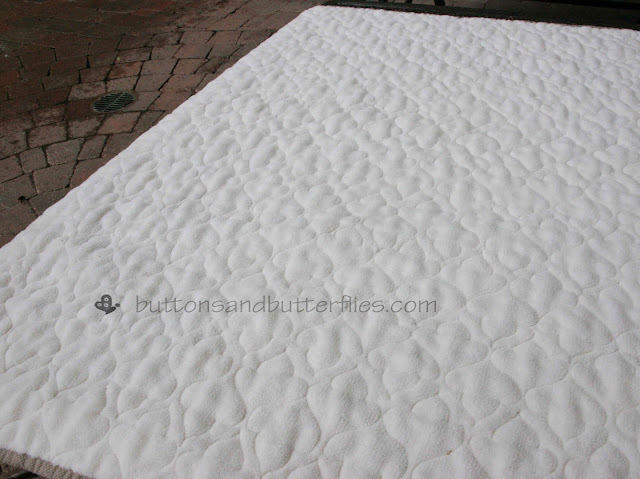 Love the quilting and the softness!